For partial fulfillment of the requirement of MBA Evening program, Professor M. Muzahidul Islam, Department of Banking, University of Dhaka assigns me to prepare a internship report on “Export, Import & Remittance Performance of AB Bank Limited” with reference to country performance over the last five years to match practical knowledge with that of theoretical which was acquired throughout the study of the program. AB Bank Limited (hereinafter referred to as AB), the first private sector bank under Joint Venture with Dubai Bank Limited, UAE was incorporated in Bangladesh on 31st December 1981 as Arab Bangladesh Bank Limited under the Companies Act, 1913 and started its operation with effect from April 12, 1982 and listed in the Dhaka Stock Exchange Ltd and Chittagong Stock Exchange Ltd. The Head Office is located at BCIC Bhaban, 30-31 Dilkusha C/A, Dhaka, Bangladesh. Dubai Bank Limited (name subsequently changed to Union Bank of the Middleast Limited) off-loaded their investment in AB Bank Limited in 1987 and the shares held by them in the Bank were sold and transferred to Bangladeshi Sponsor Shareholders. 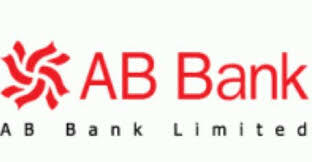 AB Bank is known as one of the leading banks of the country since its commencement 29 years ago. It continues to remain updated with the latest products and services, considering consumer and client perspectives. AB Bank has thus been able to keep their consumer’s and client’s trust while upholding their reliability, across time. AB has 82 branches in the country and one full fledged branch at Mumbai, India and a fully owned subsidiary called AB International Hong Kong Ltd at Hong Kong and also has representative office at UK and Myanmar to facilitate its trade business. AB has been maintaining very strong correspondent relationship with world leading banks, exchange houses and money transfer agencies to boost up its trade business. From the inception, AB has been contributing in international trade business of the country. The study is also aimed to have a good understanding on what AB Bank’s contribution towards Export, Import & Remittance performance of the country over the last couple of years. This study is characterized by flexibility with respect to the methods because formal research protocol and procedures are not applied. The data and information has been collected both from primary and secondary sources like bank’s monthly statements, annual reports, websites, books of accounts, internal circulars, manuals and guide lines as well as Bangladesh Bank’s websites, Journals, Newspapers and so on. The Daily Star & The Daily Ittefaq reports & Bangladesh Bank’s Monthly Economic Trend and other related Journals were also studied. The internship report has been assigned me for partial fulfillment of MBA Evening program with a view to provide with modern theoretical and practical knowledge in real life environment. So, the report is the partial requirement of the program. The rationale also lies due to the boosting up of Export, Import & Remittance business of the country over the years resulting a remarkable reserve of country’s foreign exchange position wherein private sector banks are playing a pivotal role and continuously doing product differentiation and innovative works to add more customer value and building and maintaining strong customer relationship. So, the study has helped me to find out the AB’s contribution in light of the country’s performance in respect of Export, Import and Remittance business over the last couple of years. The study tried to cover AB Bank’s contribution in respect to the overall country performance in terms of export, Import & Remittance business. So, the subject matter is very much wide and interesting. But there was time constraint in preparing the report. It would more fruitful if it would have been possible to cover all the public and private sector banks’ performance individually. To capture all the banks’ individual contribution requires long time and resources which was not possible to invest. Furthermore, all the data / information not found complied and edited rather they were raw as the same are not normally incorporated in the annual reports of individual bank. Besides, some information as per expectation was also not found available. The scope of the report is limited as it only covered AB Bank’s performance and contribution. AB Bank is known as one of the leading banks of the country since its commencement 29 years ago. It continues to remain updated with the latest products and services, considering consumer and client perspectives. AB Bank has thus been able to keep their consumer’s and client’s trust while upholding their reliability, across time. During the last 29 years, AB Bank Limited has opened 82 Branches in different Business Centers of the country, one foreign Branch in Mumbai, India and also established a wholly owned Subsidiary Finance Company in Hong Kong in the name of AB International Finance Limited. To facilitate cross border trade and payment related services, the Bank has correspondent relationship with over 220 international banks of repute across 58 countries of the World. In spite of adverse market conditions, AB Bank Limited which turned 27 this year, concluded the 2008 financial year with good results. The Bank’s consolidated profit after tax amounted to Taka 230 crore which is 21% higher than that of 2007. The asset base of AB grew by 325 from 2007 to stand at over Tk.8400 crore as at the end of 2008. The Bank showed growth in loans and deposits. Deposit of the bank rose by Tk.1518 crore, i.e. 28.45% while the diversified loan portfolio grew by over 30% during the year and recorded a Tk.1579 crore increase. Foreign trade business handled was Tk.9898 crore indicating a growth of over 40% in 2008. The Bank has been released from Bangladesh Bank watch list called Early Warning System on November 30, 2009 and Bangladesh Bank has also withdrawn the observer from the board. AB Bank commits to the nation to take a lead in the banking sector through not only its strong financial position but also through innovation of products and services. It also ensures creating higher value for its respected customers and shareholders. The bank has focuses to bring services at the doorstep of its customers and to bring millions into banking channels those who are outside the main stream banking arena. The bank since its inception has emphasized on international trade and also for boost up of remittance business through official channel and as such it has established relationship with a number of exchange houses and money transfer agents like Western Union Money Transfer, Money Gram etc. The bank has successfully completed its full automation project in mid 2008. It envisages enabling customers to get banking services within the comfort of their homes and offices. AB Bank has continuously invests into its biggest assets, the human resource to drive forward with its mission “to be the best performing bank in the country”. Over the years, the Bank has contributed in many ways towards development of the private sector banking in the country. Many of the big industries in different fields of the economy has AB’s name attached and the Bank remains a proud development partner of these industrial houses over the years. AB thrived on customer service and relationship banking which brought new dimensions to this particular service sector and many more new entrants to banking sector followed AB. AB Bank recognizes that its first duty is towards the customers and tries to act in all matters in a manner that merits public trust and confidence. AB bank has an informal code of ethics that more or less deals with confidentiality, relation with customers, accounting, auditing and record keeping, transparency, commitment and general business conduct and so on. AB is aware of its responsibility to the society to which it belongs. AB Bank has recognized the expectations of its valued customers and shareholders towards its commitment for the welfare of poorer sections of the society. Against this backdrop, AB Bank Foundation was created in the later part of 2001. Its activities were further reorganized and efforts intensified in welfare related initiatives. The foundation and employees of the bank took part in diverse charitable and voluntary programs. The main objective of the Foundation was to invest part of the bank’s profit in poverty alleviation and community welfare. To add the above, AB bank has also participated in major sponsorship programs in the area of sports such as Football, Official Partner of BCB, hokey to popularize the same among the public. The bank on its own organized friendly cricket matches between a few private banks to promote fellow feelings within the banking community. In all its business decisions, AB bank strictly adheres to environmental and safety regulations and no way did the bank compromise on ecological imbalance. Global economy or the world economy is largely centered around a few large or developed economies of the world, namely the USA, UK, France, Germany and Japan, some newly emerging economies of the world such as India, China and some South East Asian economies and certain pockets of Latin America like Brazil, Mexico and Argentina. The economic recession in the US economy in 2001 was downplayed and a surge in inventories has not proven sufficient to lead the economy on a sustained path of investment recovery. More so, growth in the US economy seems to be driven by increased consumer spending on consumer goods such as cars and electronic appliances. Although tax cuts and other measures have provided a temporary stimulus for higher disposable incomes, employment levels have actually been falling and with decline in equity rates and a general rise in international oil prices, the USA is perceived by many to be heading to a second plunge for recession in the new millennium. As with the case of Europe, Germany’s private consumption and demand are failing to take-off and, with the appreciation of the Euro, their exports have also been hit hard. Labour market inflexibility and lack of sound demand management policies have created growth in domestic demand of only 3.9% in UK, 1.5% in Germany and 2.3% in France between 1996 and 2000. Japan, the only developed economy of Asia, has experienced a rapid growth in its industrial production and that has also been reflected in the positive growth of its exports. But domestic demand being low remains its problem growing only at 1.2% in the period between 1996 and 2000. Japan suffers from a problem of deflation and although there has been no real fall in real income levels, consumers live in uncertainty and postpone purchases which bring about further deflation. In terms of investment flows and movement of capital, Asian exporters have benefited from the stability in US markets whereas restrictive fiscal policies for the Latin American economies have resulted in reduced investment flows to the country as also a decline in earnings from the countries’ exports. African economies have by and large been uninfluenced by world capital markets. But the net private capital inflows are said to reduce for the developing economies as whole, falling by 11.3% between 2001 and 2002. Latin American countries as described above are going through a recession with prices of the country’s exports falling by 10 to 30 percent. Coupled with reduced investment flows, South America is at present reeling under severe depression. Country’s foreign exchange reserve crossed the US $ 4.0 billion mark for the first time in the history at the beginning of the year 2007. Present level of reserves covers for over three months of imports of the country. Exports and remittances from the Non-resident Bangladeshis (NRBs) continued to achieve strong growth in the year 2006 while import growth slowed down to a sustainable level. Exports grew 21.6 percent to US$ 10,422 million over the previous year. At the same time, remittances by the NRBs grew by 24.8 percent at US$ 4,802 million. While, total import was registered at US$ 13,301 million showing a growth of 12.1 percent during the year. Export earnings achieved more than expected growth in the post MFA situation due to higher export demand in the US and the European markets. Impressive growth of 35.4 percent was achieved in the knitwear sector driven by a volume growth of 37.4 percent. Country’s export of raw Jute also experienced significant growth of 54 percent over the year 2005. More significantly, country is gradually shifting towards a diversified export base. Bangladesh has been included in the “next eleven” a group of nations having economic growth potential by Goldman Sachs. Relative slowdown of total import was mainly attributable to the reduced import of food grains, milk products, spices and most other edible products. However, import of industrial raw materials and capital machineries increased signifying the dynamism in investment activities in the country. The commodities whose import payments, however, increased significantly include crude petroleum and POL reflecting the volatile international market for those. The overall balance of payments recorded a significant surplus of US$ 365 million (US$67 million in 2005) at the end of the year 2006 reflecting a notable improvement in the current account balance and a larger surplus in the capital account. Despite noteworthy performance of the external sector, the foreign exchange market experienced substantial pressure in the year 2006. Pressures on Taka-US Dollar exchange rate generated by continued price hike for import of petroleum and many other major commodities coupled with higher growth of lending to the private sector (18.3 percent) created all such pressure situation. In 2006, the nominal Taka-US Dollar exchange rate depreciated by 8.6 percent in the overall. However, the real effective exchange rate of Taka depreciated by 5.3 percent providing a boost to the country’s external competitiveness. Inflation in the economy showed upward trend in 2006. Pressures on consumer prices emerged mainly through rising import prices of fuel, food items, other consumer items and production inputs feeding into domestic prices. Depreciation of Taka further contributed to rising consumer prices. The annual average inflation increased to 7.2 percent in June, 2006. The export, import and remittance business of the country has increase over the years but the growth of remittance performance is decreasing trend in the current fiscal year. The economy of Bangladesh is a rapidly developing market-based economy. Its per capita income in 2010 was est. US$1,700 (adjusted by purchasing power parity). According to the International Monetary Fund, Bangladesh ranked as the 47th largest economy in the world in 2010, among the Next Eleven or N-11 of Goldman Sachs and D-8 economies, with a gross domestic product of US$269.3 billion. The economy has grown at the rate of 6-7% p.a. over the past few years. More than half of the GDP belongs to the service sector; a major number of nearly half of Bangladeshis are employed in the agriculture sector, with RMG, textiles, leather, jute, fish, vegetables, leather and leather goods, ceramics, fruits as other important produce. Remittances from Bangladeshis working overseas, mainly in the Middle East are the major source of foreign exchange earnings; exports of garments and textiles are the other main sources of foreign exchange earning. Ship building and cane cultivation have become a major force of growth. GDP’s rapid growth due to sound financial control and regulations has also contributed to its growth. However, foreign direct investment is yet to rise significantly. Following is a chart of trend of gross domestic product of Bangladesh at market prices estimated by the International Monetary Fund with figures in millions of Bangladeshi Taka. However, this reflects only the formal sector of the economy. Financial sector reforms to strengthen the regulatory and supervisory framework for banks made headway in 2006 although at a slower than expected pace. Overall health of the banking system showed improvement since 2002 as the gross Non-performing Loans (NPL) declined from 28 percent to 14 percent while net NPL (less Provision) reduced to 8 percent from 21 percent. This led significant improvement in the profitability ratios. Although the Private Commercial Banks (PCB) NPL ratio registered a record low of 6 percent, the four Nationalized Commercial Banks (NCB) position are still weak and showed very high NPL at 25 percent. The NCBs have large capital shortfalls with a risk-weighted capital asset ratio of just 0.5 percent (June 2006) as against the required 9 percent. For the PCBs risk-weighted capital asset ratio stood at 10 percent. Bangladesh Bank issued a good number of prudential guidelines during the year 2006 and the first quarter of 2007 which among others relate to (i) rationalization of prudential norms for loan classification and provisioning, (ii) policy for rescheduling of loans, (iii) designing and enforcing an “integrated credit risk grading manual”, (iv) credit rating of the banks, and (v) revisions to the make-up of Tier-2 capital. Besides, recent decision of the Government to corporatize the remaining three NCBs along with the initiative to sale the Rupali Bank are bound to usher in changes in the banking sector competitiveness aspect. Bangladesh Bank has also taken up the task of implementing the Basel II capital accord. Further, the recent enactment of the Micro-credit Regulatory Authority Act (MRAA) for the regulation of the Micro Finance Institutions (MFI) has been a major development in the year 2006. Since 1998 CAMEL rating of banks gradually improved and in 2006 Bangladesh Bank updated this rating model by incorporating the market risk and the new model is known as CAMELS. The commercial banking sector dominates Bangladesh’s financial sector. Bangladesh Bank is the Central Bank of Bangladesh and the chief regulatory authority in the sector. The banking system is comprised of four state-owned commercial banks, five specialized development banks, thirty private commercial Banks and nine foreign commercial banks. The Nobel-prize winning Grameen Bank is a specialized micro-finance institution, which revolutionized the concept of micro-credit and contributed greatly towards poverty reduction and the empowerment of women in Bangladesh. In our country, the banking sector today is undergoing significant changes with respect to regulations, business risks, modus operandi and level of services. The Banking sector is also runing with hiper competitve environment as a number of private and commercial banks in the economy. Above all, the Bank Management is faced with the most important goal to ensure an acceptable level of return on shareholders’ investment. Industry’s growth is moving upward and an upsurge in long-term demand attracts new entrants to the market and encourages competition. There have been changes in who buys the product and how they use it. Customers are using the same banking services in a new way, for example-now they can do their banking transaction without moving to bank and using new digital products like ATM, access card, credit card etc. and this shift is forcing banks to cope their customers service offerings, opening new ways to market their product. As far as the banking industry is concerned the industry has reached to a stage between growth and maturity face. As the banking sector has improved its service quality and struggling for new features to add as it has passed the growth stage. However this industry is vigorously searching out the new market segment to enter. Banking industry is still searching for new opportunities to gain additional sustainability. Moreover, an enormous number of companies are focusing this industry as a very potential and profitable sector to invest. But since last December, the banking sector is facing tremendous liquidity crisis commence from central bank’s tightening policy resulting the rise of lending and deposit rates. The banks are putting extra effort in recovering of loans rather disbursing of new ones. Most of the private banks stumbled to match with their LD-Deposit ratio as per central bank’s guidelines. So, the trend of steady growth of banking sector in the current calendar year may be slowdown though the public sectors and foreign banks are comparatively in better situation due to strategic reason. One of the major achievements of Bangladesh economy over the last three decades is the robust growth of exports, which has put the country in a sound condition. At the same time, Bangladesh was in the process of graduating from a predominantly aid-dependent economy to a trading economy. Bangladesh’s export sector registered an average growth rate of 14.53 per cent per annum throughout the 1990s which was also remained steady afterwards. The total export receipts of Bangladesh (including exports of EPZ) during the years, 2009-2010 and 2008-2009 amounted to Tk. 102148.2 crore and Tk.97498.1 crore or US$ 14763.8 million and US$ 14170.7 million respectively. Source: Statistics Department, Bangladesh Bank. The table shows that the export performance increased over the years both from EPZ and other than EPZ. From the above table it is revealed that export of RMG, Jute goods & Leather items increased in the fiscal year 2009-10 but export of tea, frozen fish & other items decreased in the said period. It also shows that the growth of jute goods, home and engineering products are highly remarkable. It is revealed from the above table that the USA is the single one destination of Bangladeshi goods, Canada and European countries are also major importing countries of Bangladeshi products. The above table shows that AB Bank’s export position increased over the years. It is also notable that the ready made garments items export increased remarkably which is not seen in case of other items. So, the export business concentration was in the area of frozen fish, readymade garments, knitwear and other indigenous products. The export performance of AB can be shown in following graph; the graph shows steady growth of export performance over the last couple of years. The graph also indicates that the total export business was increased dramatically in the fiscal year 2009-2010. The following graph shows that AB’s export business is concentrated on ready made garments items and it is 86.47% in the fiscal year 2009-2010. The others are only 13.53% which includes frozen fish and dry food etc. So, it is very much risky as there is no product diversification. AB Bank’s foreign correspondence relationship is spread across the world covering important financial centers including important financial houses. This network of over 300 correspondents has helped the bank in expanding its international trade. Bangladesh is an import based country and its import is always been higher than its export. The country’s hard earned foreign currency is expensed mainly for import purpose. If we look back and import trend we would see that the dependency of country’s import has been decreasing year by year though the majority items are to import. The major import items of Bangladesh are food and food grains, machineries, spare parts, petroleum and raw materials etc. most of the imports of the country are made in the form of cash mode and some imports are made in the form of grants, loans and others. The above table shows that most of the import payments are in the form of cash which is 90.4% and the import under loans and grants are negligible. The import under IDB short term loan is only 3.1% and the percentage of import payment under EPZ is 5.8%. From the above table it is also notable that the import was increased remarkably in the year 2009 -2010 than the previous year. The above graphs, facts and figure reveals that the country’s hard earned foreign currency is spent for import payments in the form of cash. The major import items are food and food grains, machineries and accessories items etc. The following table shows that the total import increased only 5.47% in the fiscal year 2009-10 than the previous year which was 4.06%. The table shows that the import growth increased in the last fiscal year but the trend is much lower than the fiscal year 2006-07 and fiscal year 2007-2008 which was 16.35% and 26.07% respectively. The statistics reveals the lowering dependency on trend of country’s total import. The foregoing table depicts that major import comes to Bangladesh from China that is 17.7% in the fiscal year in 2009-2010. The other major countries are India 15%, Singapore 7.5%, Japan and Malaysia 4.9% and Republic of Korea is 3.9%. It is interesting to notice that Bangladesh imports mainly from Asian Countries whereas Bangladesh export destination is USA, Canada and European countries. The above table shows that chunk of the import comes from Asian countries that are 71.20% and followed by EU countries with 5.30% and 4.30% from North American countries. International trade is one of the important components of the AB Banks total business exposure. The growth of AB’s import business over the last couple of years is encouraging. AB’s major import items are raw materials 17.47%, food and food grains 12.33%, machinery 10.81%, textile & accessories 6.34% and ship breaking 5.88% that indicates concentration on limited items. The above table shows that AB’s contribution in overall country’s import performance is on an average 3.42% over the last four years. AB’s import performance declined in the fiscal year 2008-09 compared to country’s performance. Imports at the end of the last fiscal year stood at US$865.82 and it was 16.70% higher than the previous year but the total country’s growth was increased only 5.47% in the fiscal year 2009-10 than the previous year. It is interesting to notice that Bangladesh imports mainly from Asian Countries whereas Bangladesh major export destination is USA, Canada and European countries. AB’s contribution in overall country’s import performance is on an average 3.42% over the last four years and it was 3.65% in the last fiscal year. Remittances are inflows of foreign exchange into the country from our workers overseas. ‘Foreign remittance’ means purchase and sale of freely convertible foreign currencies as admissible under Exchange Control Regulations of the country. Purchase of foreign currencies constitutes inward foreign remittance and sale of foreign currencies constitutes outward foreign remittance. Remittance is a catalyst in Bangladesh’s poverty alleviation and economic growth. It recorded a 22.32 percent growth in last fiscal year compared to FY2007-08 despite downbeat projections by several donor agencies amid the ongoing global recession. However remittance figures stood at $10 billion in fiscal 2008-09 and continued in steady growth taking the foreign currency reserve to cross $10 billion. Usually remittance growth in Bangladesh hovers around 12-16 percent in a fiscal year, although the growth hit a record high at 32 percent in fiscal 2007-08. In fiscal 2008-09 remittance inflow was $9,681.78 million, while it was $7,914.78 million in fiscal 2007-08. According to the Bangladesh Economic Review, more than 55 lakh Bangladeshis were working abroad till April 2009. In the first five months of 2009, the number of expatriate workers fell to 2,12,332. The number was 3,77,894 in the January-May period last year. Even though the number of workers fell, a positive impact was seen in the overall remittance flow as the export of skilled manpower increased. The recession also prompted workers to remit more. The Economic Review said export of skilled manpower increased by 70 percent to 2,81,444 in 2008 from 1,65,344 in 2007. The export of semi-skilled manpower decreased by 27 percent, while low-skilled manpower export dropped by 8 percent in 2008. The above table shows the steady growth of inward remittance over the years despite of economic meltdown and hindrance in the way of manpower export. The study reveals that the remittance inflow increases remarkably through official channels as the private sector banks maintaining correspondence relationship with the world leading banks, money transfer agents and exchange houses. The promotional activities of the banks also facilitated to increase foreign currency inflow through official channel. The government has also encouraging to boost up remittance inflow through official channel. The trend of remittance inflow in the country in the current fiscal year i.e. 2010-2011 can be shown in month wise in the following graph which reveals that the trend went down in September but afterwards it increased and went steady for the month of November through February and a sharp rise in the month of March. The above facts and figures show the remittance inflow is increasing but its growth is losing momentum which is shown by following graph as the exchange rate of the dollar against taka has gone up in the informal market and due to low interest rates in case of expatriates investing their money in various savings instruments like Wage Earners’ Development Bonds and US Dollar Premium & Investment Bonds. Slow down of manpower export also played role in slower remittance growth. In fiscal year 2008-09 the remittance growth was about 22%, which came down to 13% last year. The above table shows that the most of the country’s foreign remittance come from the Saudi Arabia, UAE, UK, Kuwait and USA but the growth trend is decreasing and in case of Malaysia the remittance inflow is not remarkable. beneficiary in Bangladesh. AB maintains correspondence relationship with the world leading banks and exchange houses to gear up its remittance business. It also has relationship with a number of electronic fund transfer agents. AB reached an agreement with the world electronic fund transfer giant Western Union Financial Services Inc. U.S.A, the number one and reliable money transfer company in the world and opened the horizon of electronically remittance received in Bangladesh which tremendously contributed to enhance inward remittance through official channels. Through Western Union Money Transfer Service, Bangladeshi Wage Earners can send and receive money quickly from over 280,000 Western Union Agent Locations in over 200 countries and territories world wide- the world’s largest network of its kind, This modern Electronic Technology based money transfer company has earned world wide reputation in transferring money from one country to another country within the shortest possible time. Through these agents money come from abroad to Bangladesh and the beneficiary can collect the money by submitting specific documents such as pin number, ID or Passport’s photocopy. The table shows that though the remittance inflow increased up to 2009 it has decreased remarkably in 2010 due to discontinuation of relationship with western union money transfer. Source: complied from monthly statement of AB Bank Ltd.
*the figure is up to March 2011, Source: monthly statement of AB Bank Ltd. The above table shows that AB is always in deficit position of foreign currency that means AB’s import is higher than its export and remittance. The table reveals that only in the current calendar year the figure is positive. The following graph shows AB’s inflow outflow and export import gap of foreign exchange for the year 2010 which reveals that AB is always in deficit position of foreign exchange. The above table and graph shows that AB’s contribution in overall inflow of foreign remittance is very low. The contribution was 3.48% in the fiscal year 2008-09 which has decreased in the subsequent year. The study reveals that the remittance inflow increases remarkably through official channels as the private sector banks maintaining correspondence relationship with the world leading banks, money transfer agents and exchange houses. The promotional activities of the banks also facilitated to increase foreign currency inflow through official channel. The government is also encouraging to boost up remittance inflow through official channel. The remittance inflow is increasing but its growth is losing momentum as the exchange rate of the dollar against taka has gone up in the informal market and due to low interest rates in case of expatriates investing their money in various savings instruments like Wage Earners’ Development Bonds and US Dollar Premium & Investment Bonds. AB Bank limited is a leading Private commercial bank in Bangladesh with superior customer bases that are loyal, faithful, worthy towards the bank. As a commercial bank ABBL has to follow the rules of Bangladesh Bank despite the fact that these rules sometime restrict the foreign business to some extent. As a proud member of this bank I have found its foreign exchange department to be very efficient; therefore this department plays a major role in the overall profitability of the bank and contributing ® lot in the growth of national economy. AB’s trade services are performing well and its export and import business is increasing year by year but its contribution is only around 3% in country performance. The country’s export business is increasing which is encouraging but it needs to explore new market and to ensure product diversification. The growth of remittance inflow is decreasing which needs special attention to boost up the remittance business. AB is mainly dependent on ready made garments for its export business and imports are concentrated on raw materials. It is revealed that number of outbound migrant workers dropped in the recent years but a large number of poor expatriate Bangladeshis are still staying abroad and sending remittance home for which the trend is increasing. There is also huge scope of manpower export and increase of remittance if the recruitment problems can be solved. Despite of economic recession and low trend of outbound workers, foreign remittance inflow has increased for a number reasons like as Bangladesh earns major remittance from middle east countries which is not very much affected as yet, increase of export of skilled workers, depreciation of currency, increase of oil price and using of official channels for sending remittance. Growing remittance is a life line to Bangladesh. The expatriates are playing a vital role in the economy. Our economy is largely benefited from semi skilled, ordinary inferior manpower (who fill up heavy duty job abroad) not that much from the majority of well educated, professional, sober Bangladeshis abroad. Human resource is the only resource which is in abundance in Bangladesh. If trained and used properly, it can bring Bangladesh out of poverty. AB, as the first private sector bank in Bangladesh has not only opened the notion of private sector banking but also contributed a lot for the overall improvement of the banking sector in Bangladesh. Some of its innovation and contribution as private sector commercial bank has brought about a revolution in the banking arena in Bangladesh. It has also contributed to the human resources development that has led to set up of a number of Banks in the private sector in Bangladesh over the years that are relentlessly contributing in the process of international trade, industrialization and expansion of overall economy as lifeblood. AB’s need to increase product diversification in both import and export items as the bank has concentration only a few items. AB’s should emphasis on export and inflow of foreign remittance to bring balance between foreign currency inflow and outflow.